It is a program by Meghe Group. Quality coaching and special attention. Conceptual explanations are given by highly professional faculties. Students are prepared for competitive exams as well. Foundation courses are also being conducted in this program. 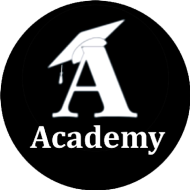 ADCC Academy conducts classes in Class 10 Tuition and Class 9 Tuition. It is located in Pratap Nagar, Nagpur. It takes Regular Classes- at the Institute.